Agent Ko is an agent with the Agency. At least that is the plan by the Academy, the training facility in North Korea which monitors probably thousands of potential agents as they grow into near-adulthood and then pluck them from their lives, harsh and unpleasant as most are, and toss them into its even harsher environs. Training in that rough environ is extreme and most who are "invited" to try fail. Failure always ends badly. Ko's full name is Ko Min-Jung. She is likely 16-17 years of age when the series begins. For much of her young life she lived in the Osang region of the country, far to the north from the capital. Her father was a fisherman who struggled every day to put enough food on the table for he and his wife and Min-Jung and her little brother, Woong. As a little girl Ko did not know how meager their existence was. She knew she and her brother went to sleep hungry most of the time but that was unfortunately normal. Nevertheless she was happy with Papa and Woong. Mama was someone she loved but it was never really clear whether the feelings were mutual and not a day went by without Mama getting angry for something wrong Ko did. But like the hunger paigns, that was the norm. Then the floods came one year and Woong was swept away and a harsh life became harder. And different. For some reason she never understood the family was moved to Pyongyang and day-to-day got perhaps a tad better but Mama was still always upset at her and Woong was still gone and, unbeknown to her she was being monitored. A 'friend' of her father, Ryuk, came to dinner on occasion and Ko came to think that, old those he was (almost Papa's age) he was thinking of asking to marry her. The proposal that Ryuk made, though, was not for marriage but to take her to the Academy where she would train to become an agent for the Great Leader. She would learn to lie and sneak and stalk and kill. She would learn that absolutely no one could be trusted and anyone she might think a friend would betray her for the least offense at a moment's notice if that meant they could survive. She would, unfortunately, learn how to be just as pernicious. It would not come easily to a young girl who was kind of heart and loving and sweet. But it would, regrettably, come. 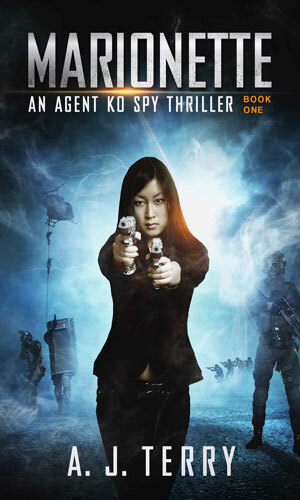 The Agency has followed Ko's development from her early childhood and now as she becomes a young woman, they pull her into the Academy to learn to be an agent. 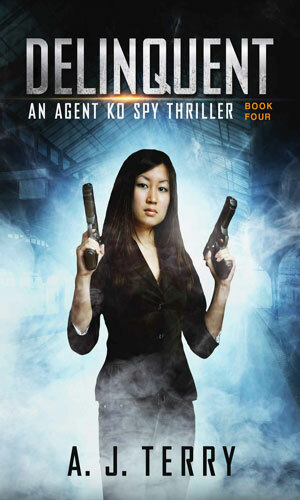 The girl now known as Agent Ko must suddenly learn how to lie and sneak and fight and even kill. 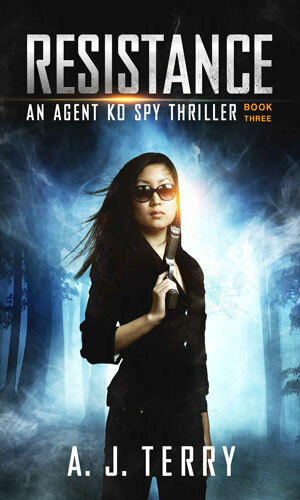 Given her first off-campus assignment, Agent Ko must journey in the Wasteland where she will face a test far worse than anything she has yet seen but that is just the beginning. 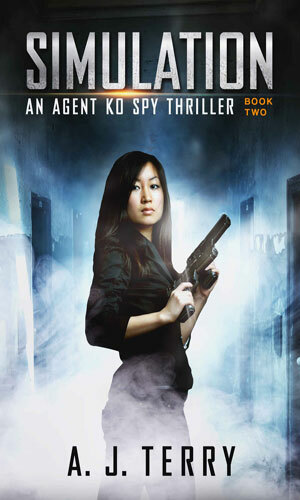 Another off-campus mission will present Agent Ko with a chance of freedom but the cost to those she loves would be extreme and she must decide freedom or humanity. Now halfway through her training, Agent Ko knows the least distraction will cause her to fail and bring ruin to her family but another off-campus assignment will prove terribly distracting. It is well known that North Korea is the most repressive regime in the world. Every piece of information that sneaks out of there tells of the horrible lives the 20+ million citizens endure. These books bring it incredibly into focus by letting the reader see the day-to-day world of a young girl who has the makings of an agent, as far as the authorities can see, and through that girl's transformation the reader learns so much about the people controlling every aspect of their lives. If you are not a paranoid person when you start this series, you likely will be when you get into it. You cannot help yourself. It really sneaks up on you and pretty soon when you read someone saying something fairly nice to Ko, you know there are certainly one or two ulterior motives behind the platitude and none of them will be good. And you will see and understand when Ko changes and starts to become as duplicitous as the rest. You won't like the change but you will understand. I figured I knew enough to write up this series after the first book. Lots of other series to read, you know. Time's a wastin' and so on. But when I finished the first book, I started the second. When I finished that one, I definitely knew enough to move elsewhere. And I started in on the third one. But that was going to be it because there were other things to read. Like the fourth book in the series which called to me. I root for Ko. The odds are against her and everyone is ready to knock her down a lot of pegs to step on her to advance but I still root for her. I also feel sorrow for those she is forced to step on.